The ancient philistine cemetery discovered in Israel could lead us see Goliath’s people in a completely new light. 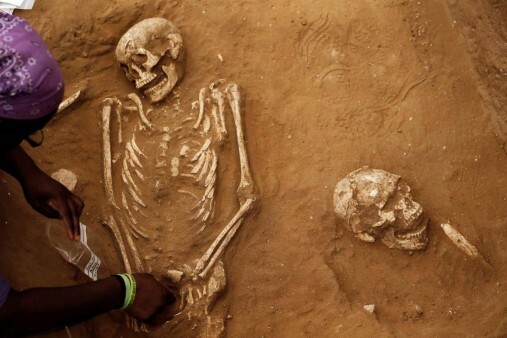 This is the first time a cemetery belonging to the Philistines has been found. The recent excavation in the Israeli port city of Ashkelon also revealed the remains of 200 people buried there and dated from the 11th to 8th centuries BC. The find might shed light on one of the Bible’s biggest mysteries: Where did the ancient Philistines come from? It is known that Philistines have flourished in this area of the Mediterranean, in today’s southern Israel and the Gaza Strip. 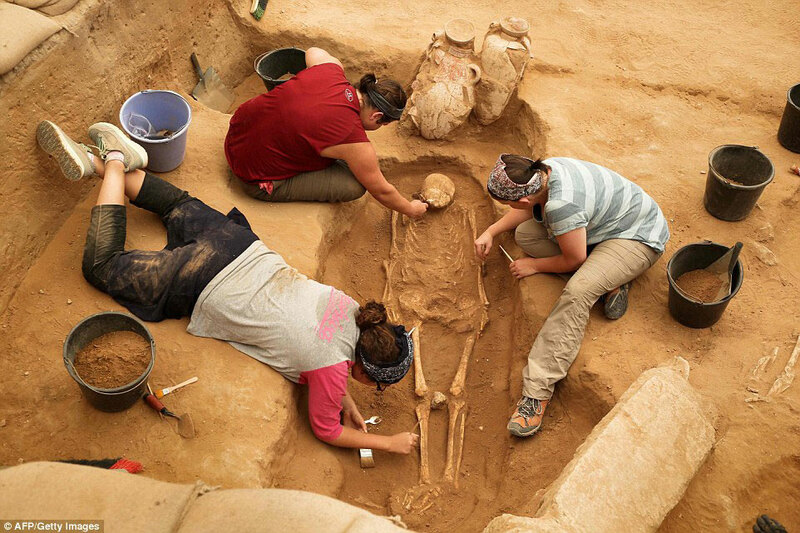 Until now archaeologists had been able to identify the five major cities of the Philistines and artifacts of their culture, but only a handful of burials which could be tentatively identified. In the Bible they are presented as the ancient Israelites’ archenemy. 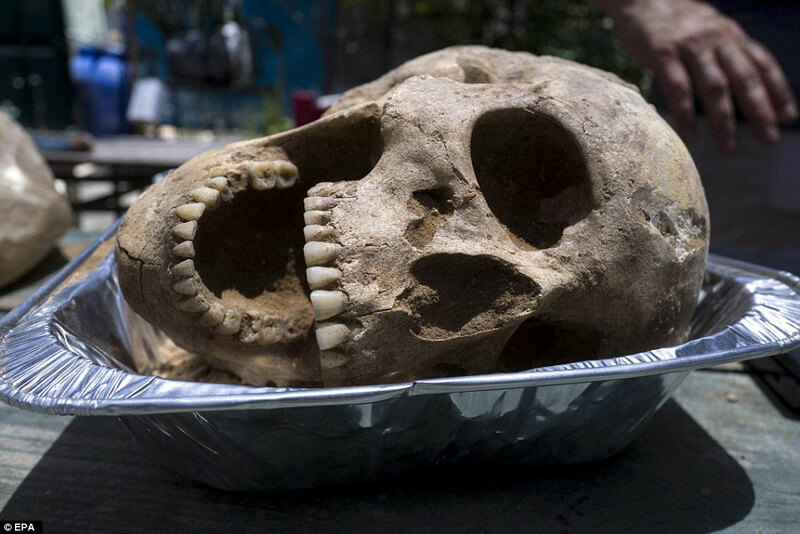 “The Philistines have had some bad press, and this will dispel a lot of myths,” said Lawrence Stager, who has led the expedition that found the cemetery since 1985. Archaeologists kept the discovery a secret for three years. It was finally unveiled Sunday at the close of a 30-year excavation by the Leon Levy Expedition, a team of archaeologists from Harvard University, Boston College, Wheaton College in Illinois and Troy University in Alabama. In the graves decorated juglets were found, believed to have contained perfumed oil. Some bodies were still wearing bracelets and earrings, while others had weapons. Among the burials, archaeologists discovered cremations and some larger jugs containing the remains of infants. “The cosmopolitan life here is so much more elegant and worldly and connected with other parts of the eastern Mediterranean,” Stager said, noting that this was in contrast with the modest lifestyle of the Israelites who lived in the hills to the east. Based on pottery found in excavations of Philistine sites, archaeologists have long believed that the Philistines came from the Aegean region. But where exactly in the Aegean region has remained unanswered. 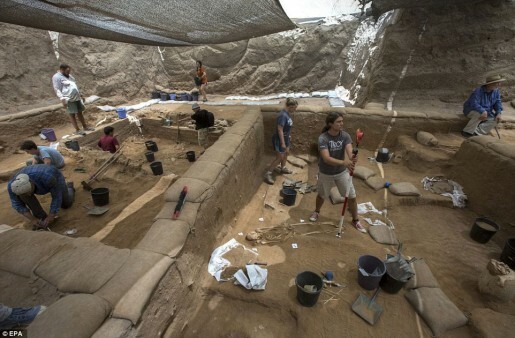 The skeletal remains might hold the answers, according archaeologist Yossi Garfinkel, an Israeli expert on the period who did not participate in the dig. Finds of the cemetery can be seen in an Israel Museum exhibition at the Rockefeller Archaeological Museum in Jerusalem.